Companies are hiring for nearly 600,000 (and counting!) holiday jobs this year—and they’re offering more perks than ever before. Check this page regularly for the latest hiring announcements. 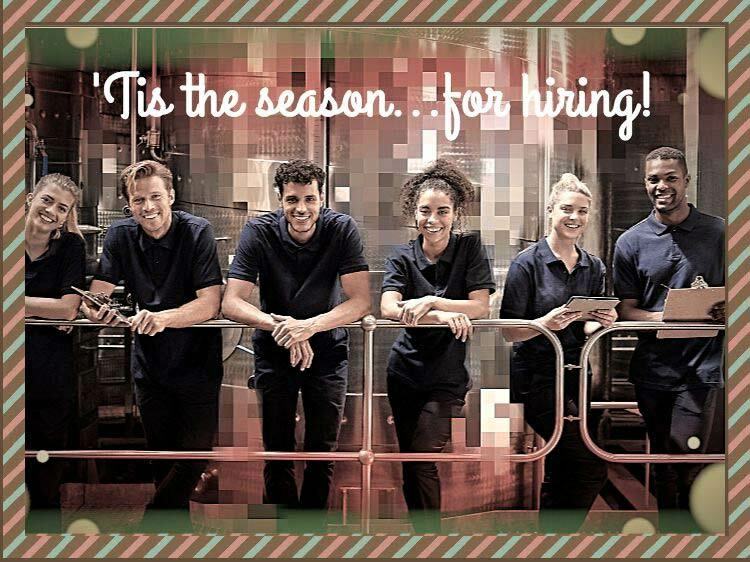 These companies are hiring for the holidays now. It’s beginning to look a lot like Christmas on the jobs front, as seasonal jobs are popping up at many companies nationwide. While some companies like Kohl’s and J.C. Penney got a head start back in July, it’s now full-speed ahead as more and more retailers and logistics companies announce their grand holiday hiring plans. Already, executive outplacement firm Challenger, Gray & Christmas has logged 704,000 seasonal jobs on the market—a number that surpasses the previous record total of nearly 696,000 seasonal jobs set in 2014. 1) A tight labor market is leaving companies with too many open jobs and not enough workers. While this is bad news for employers, it’s good news for anyone in need of employment, as these temporary positions might be easier to land than ever before. Keep in mind, though, that you’ll still need a solid resume tailored to the seasonal job you’re applying for if you hope to make it on the “nice” list in the interviewing process. 2) In combatting this hiring shortage, you might also find yourself privy to perks that were never given to seasonal help in past years. Just recently, Amazon raised its minimum wage to $15 an hour, J.C. Penney announced that part-time hourly workers will receive one week of paid time off a year, and Target said they’ll pay new hires an extra $1 an hour, which means you’d earn $12 an hour. While you likely heard the big news from Amazon that they’re going to start paying workers a minimum hourly wage of $15, they also announced that those pay raises will be applied to the 100,000 seasonal workers the e-commerce giant plans to hire this year. Find all seasonal jobs at Amazon on Monster. This holiday season, Kohl's plans to hire 90,000 employees across its 1,100+ stores, nine distribution centers, and five e-commerce fulfillment and credit centers, as reported by ABC. Find all seasonal jobs at Kohl's on Monster. The biggest seasonal hiring push at the company to date, Target announced plans to hire approximately 120,000 team members. Seasonal team members will receive 10% discounts and the opportunity to earn holiday pay on Thanksgiving and Christmas. Find all seasonal jobs at Target on Monster. UPS announced expectations to hire about 100,000 full- and part-time seasonal workers, set to begin in November and continue through January 2019. Want to stay on longer? Over the last three years, 35% of the company’s seasonal hires were moved into permanent positions after the holidays. Find all seasonal jobs at UPS on Monster. In its Macy’s and Bloomingdale’s stores, the retailer says it plans to hire about 80,000 seasonal workers this year. The majority (23,5000) of these positions will be based in its fulfillment facilities, while 1,500 will be hired at its customer service centers and 1,000 to support events like the Macy’s Thanksgiving Day Parade and Santalands. Find all seasonal jobs at Macy’s on Monster. The retailer says it plans to hire approximately 65,000 seasonal associates for its Gap, Banana Republic, Athleta, and Old Navy stores—as well as its call centers and distribution centers—this holiday season. Seasonal workers will enjoy the same merchandise discounts, wellness offerings, and flexible scheduling as all its other workers. Find all seasonal jobs at Gap on Monster. Thanks to the rise in demand for e-commerce, FedEx is looking to hire about 55,000 workers this holiday season, Reuters reports. Find all seasonal jobs at FedEx on Monster. The retailer plans to hire approximately 39,000 seasonal workers this season, according to Challenger, Gray & Christmas. Find all seasonal jobs at J.C. Penney on Monster. Radial, which provides e-commerce services for DSW, GameStop, and Shoe Carnival, says it will hire more than 20,000 seasonal workers at its fulfillment centers and customer care centers. Find all seasonal jobs at Radial on Monster. As you deck the halls with boughs of holly, you might consider a seasonal job at the largest specialty arts and craft retailer. Michaels announced that more than 15,000 seasonal positions will be available across stores and distribution centers. As a seasonal worker, you’ll benefit from competitive wages, flexible hours, and a 30% discount. Additionally, you might even have the opportunity to stay on permanently, as last year, Michael’s moved more than 40% of their seasonal workers into regular roles. Find all seasonal jobs at Michaels on Monster. The transportation and logistics company announced plans to hire 8,000 workers for the holiday season. Find all seasonal jobs at XPO Logistics on Monster. 1-800-FLOWERS announced plans to hire more than 8,000 full- and part-time workers across its gourmet food brands Harry & David, Cheryl’s Cookies, and The Popcorn Factory. Mostly based in Illinois, Ohio, and Oregon, these roles will be filled in production, gift assembly, retail stores, call centers, and distribution and fulfillment centers. The company says seasonal workers may be considered for permanent positions once the holidays are over. Find all seasonal jobs at 1-800-FLOWERS on Monster. L Brands, which includes Victoria’s Secret and Bath & Body Works, will hire about 4,000 seasonal workers this year, according to Challenger, Gray & Christmas. Find all seasonal jobs at L Brands on Monster. Find all seasonal jobs on Monster. Is a new or seasonal job on your holiday wish list this year? Instead of waiting to hear reindeer land on your rooftop and a jolly man to come down your chimney, you can join Monster for free today. As a member, you not only get job alerts emailed right to your inbox, which cuts down on the amount of time you’d spend combing through ads, but you can upload up to five versions of your resume—each tailored to different types of seasonal jobs that interest you. Recruiters search Monster every day looking to fill top jobs with qualified candidates, just like you. Let Monster add a little cheer to your job search this holiday season.